Article supplied by nutritionists from the TopSpec Multiple Award-Winning-Helpline. Your horse’s joints are subjected to repetitive trauma during everyday life and exercise, which can eventually lead to inflammation within the joints, or arthritis. Breed, conformation, condition, diet, fitness and foot balance all play a part in supporting your horse’s joints. Healthy synovial joints (e.g. fetlocks, stifles, hocks, knees, pastern and coffin joints) allow two bones to slide smoothly over each other. The ends of the bones are covered with a thin layer of cartilage, which is shock-absorbing and slippery to allow movement. A fibrous capsule surrounds the joint. It is lined by the synovial membrane and filled with synovial fluid. This viscous fluid lubricates the joint and contributes to the joints ability to cushion the forces placed upon it. Glucosamine is an important constituent of Glycosaminoglycan’s (GAG’s) which provide elasticity and shock-absorbing properties to the synovial fluid and cartilage within joints. 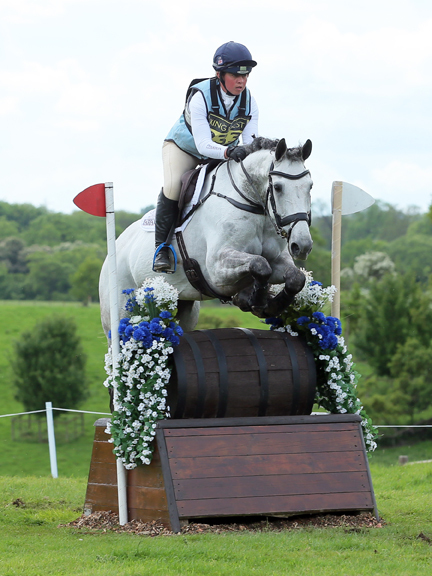 Glucosamine can be fed at the scientifically recommended level of 10g per 500kg horse per day. Methyl Sulphonyl Methane (MSM) can also be a beneficial ingredient because it is a bio-available source of sulphur. MSM helps to maintain optimum function in tendons, ligaments and muscles and can promote fluid dispersion at injury sites. For those more severely affected by arthritis, adding both glucosamine and MSM to their diet provides a broader level of support than either alone. Micronutrients including calcium, phosphorus, magnesium, sulphur, copper, manganese and zinc, as well as antioxidants, such as vitamin A, C and E, all play an essential role in the underlying structure of joints. Hoof supplementation, including biotin (15mg/500kg horse/day), methionine, lysine, calcium, zinc, copper, iodine and vitamin A, as well as regular farrier visits, is also of enormous benefit. 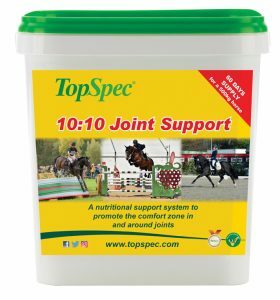 Well-balanced feet, with good hoof quality, support the effective absorption of concussive forces to reduce stress on the joints. An appropriate top specification feed balancer is the ideal solution for providing the recommended amount of glucosamine and optimum levels of important micronutrients including a hoof supplement. Alternatively an additive, containing both glucosamine and MSM, can be mixed with your horse’s feed.